Increased safety for your on- or off-grid storage system: As an external DC distribution board, the BatFuse secures the Sunny Island’s battery connection cables. 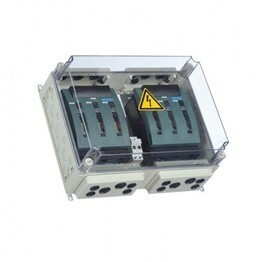 It also ensures all-pole battery fuse protection and allows the inverters to be disconnected from voltage sources. Depending on the variant, the devices offer up to three inverter connections and up to six connections on the DC side. Additionally, the BatFuse features a battery voltage tap, which can be used for supplying external DC loads.